“This may sound weird to you but I’m passing it on because it enabled me to get a few hours sleep and pain reduction last year when I had a horrendous earache and some middle ear infection (eustachian tube blocked for a month too). In the midst of the worst of it, about 2 or 3 am and unable to sleep since getting into bed around 9 pm, I just got up and did some intensive sitting meditation, concentrating on breathing, basic mindfulness stuff, allowing thoughts to pass through without latching onto them, especially those about how bad it was and how much I wanted to sleep. From focusing my attention on breathing, I started really concentrating on the sensation of the pain, which was nagging, feverish and intense. I found that by observing carefully the nature and intensity of the pain made it significantly less irritating and relentless; I began to notice how it changed from one moment to the next and was able, gradually, to experience it less as “pain” and more as a set of strong sensations. 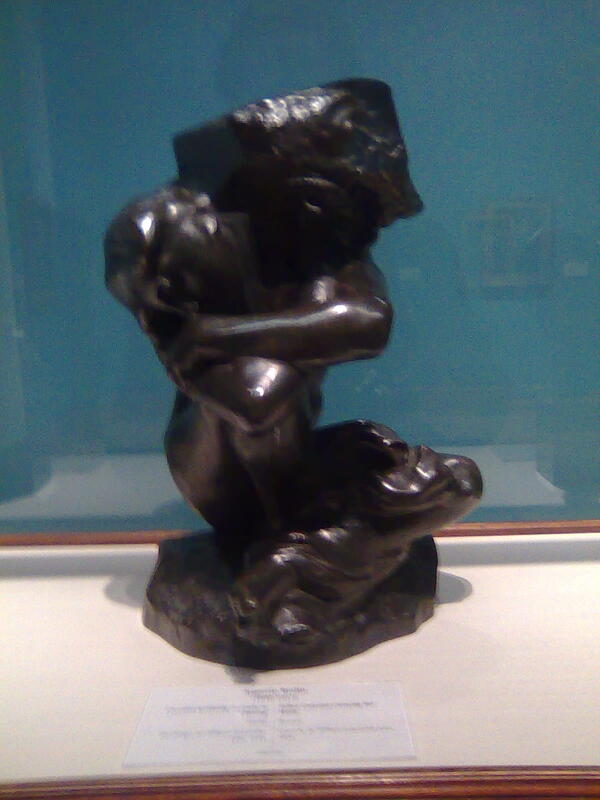 Rodin: Caryatid with a rock.